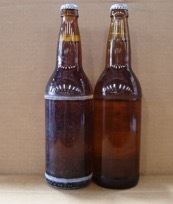 For beer, soft drink and mineral water manufacturers, the appearance of glass bottles is paramount wherever the drink is served: in bars, restaurants and stores. The look of bottles impacts the brand image and its commercial performance. Products developed by Arkema, Kercoat® and Opticoat®, dedicated in the protection of glass bottles, address this issue, and help bottlers extend the lifetime of their bottle fleet, with significant savings as a result. Explanations by Julien Verron, Global Business Manager Glass Coatings for Returnable bottles at Arkema. DRINK: What does your range of coatings for glass bottles entail? Julien Verron – Arkema offers a unique expertise in the returnable glass bottle coating market with two complementary product ranges: Kercoat®, which protects the bottles and keeps them looking new for longer, and Opticoat®, which masks the scuffing and white rings that build up on bottles every cycle of use. Building on our 30 years’ experience in glass coatings, we were the first to launch this innovative solution some ten years ago. We noticed that, after a number of cycles of use, returnable bottles were becoming more fragile and losing their appeal to consumers. By ensuring that bottles retain an attractive look for a longer period of time, our products contribute to maintaining a positive impact on the buying act of final consumers. D – Your solutions bank on the look of bottles, so aren’t they marketing products? J.V – Marketing experts know very well that the look of a bottle is very important to seduce consumers. Nowadays, with the growing number of cycles for returnable bottles, scuffing caused by repeated contact between bottles, in particular during filling and transport, is unavoidable. Any deterioration in their appearance can result in a significant loss of business. Our experience has shown us that after an average of 10 cycles, non treated bottles no longer match the expectation of final consumers. Our solutions enable fillers to maintain the attractive look of the bottles until 50 cycles of use. Just like the label and the design of the bottle, the aesthetic quality of the glass support is of particular importance in the buying act. D – Clearly, using attractive bottles does have marketing benefits for bottlers, but are there also cost benefits? Hence bottlers do not need to renew their bottle fleet as often, and to significantly reduce the new glass bottle purchases. D – Are your Kercoat® and Opticoat® products intended for bottlers of beverages or for bottle manufacturers? J.V – Our customers are brewers, soft drinks and mineral water producers present in every country where the principle of returnable glass bottles is in place, i.e. in most countries. Our solutions are gaining more and more success due to the economical, marketing and environmental benefits they bring. As of today, France and the United States are the only two major countries that no longer use returnable bottles on the consumer market. This trend could soon be reversed thanks to change of mind as regard to environmental issues. We have recently noticed that returnable bottles are now again considered as serious options by politicians and as an alternative to PET bottles. Therefore the potential for development is huge! D – Can your « protective » and « masking » solutions help bottlers achieve a more eco-responsible stance with their glass containers? J.V – Absolutely so, we can now actually see an emerging trend in major brands to strive to consume less packaging, recycle it better, or reuse it better. By joining the Carlsberg Circular Community, Arkema wants to be part of this approach thanks to its Kercoat® and Opticoat® products with the aim of minimising the volume of waste produced in the packaging sector. Today, leading beverage brands are putting in place sustainable development programmes that seek to reduce their environmental footprint by consuming less raw material, in particular via their glass packaging. Our coatings are riding the wave of this fundamental social trend: by extending the lifetime of bottles, they represent a credible and effective solution for bottlers eager to consume less glass packaging. D – In which countries are you present and how do you operate? J.V – We enjoy a global commercial and technical presence. Our experts are involved from the audit of filling lines and the precise requirements of our customers based on the shape of their bottles, right down to the installation of our equipment on their bottling lines. Our equipment is adapted to each specific line and is custom-designed to meet the specific expectations from our customers.